The new Spark from DJI is the company’s first mini camera drone. It literally can lift off from your palm and can be controlled by a movement of your hand, entering Gesture Mode. 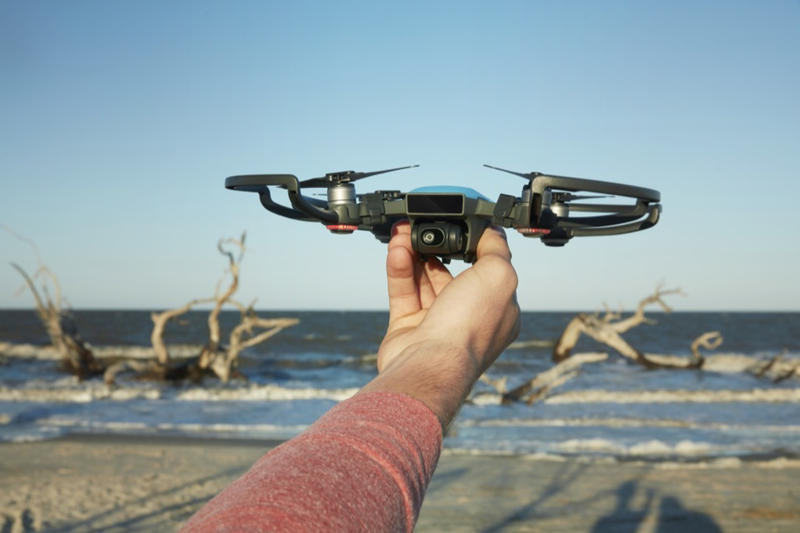 The cool little drone weighs a mere 10.6 ounces, and it’s designed to be incredibly easy to use for pretty much everyone—not just photographers and videographers—to capture professional-quality stills and cinematic footage. Spark can be operated by a remote controller or mobile device, too. Spark’s camera features a 1/2.3” CMOS sensor for capturing 12-megapixel photos. It shoots stabilized HD 1080p video, with a 2-axis mechanical gimbal and UltraSmooth technology incorporated to reduce camera shake and the rolling shutter effect. 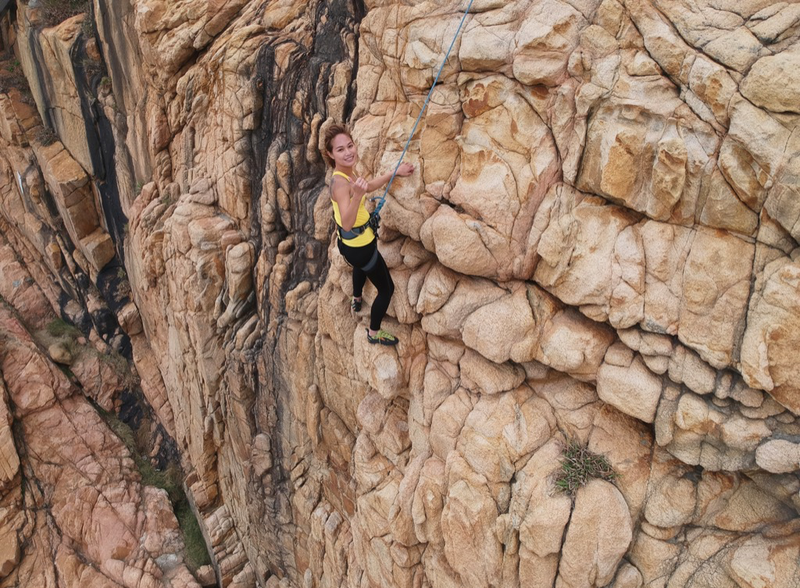 Retaining DJI’s standard shooting modes, new ones include Pano Mode—the camera creates horizontal or vertical panoramas by adjusting its gimbal and heading automatically, taking a set of photos and then stitching them together—and ShallowFocus Mode, where part of a photo can be composed in sharp focus while the rest of the image is softened for creating shallow depth of field. In the new QuickShot Intelligent Flight Mode (there are four to choose from), the camera drone flies along a preset flight path while recording a brief video as it tracks a subject. And using the DJI GO 4 app, users can edit video for sharing to Facebook, Twitter, Instagram, YouTube and other social-media sites. As for safety, Spark’s FlightAutonomy system allows for accurate hovering at up to 98 feet and sensing of obstacles from up to 16 feet away. It can return to a home point automatically with a sufficient GPS signal. While using the remote controller, if the battery gets low, the connection is lost or the user presses the Return to Home (RTH) button, Spark returns to the preset home point, sensing obstacles in its path. Spark also integrates DJI’s GEO System or NFZ geofencing to provide current guidance on areas where flight may be limited by regulations or raise safety or security concerns, but users should check limitations before deploying the drone. 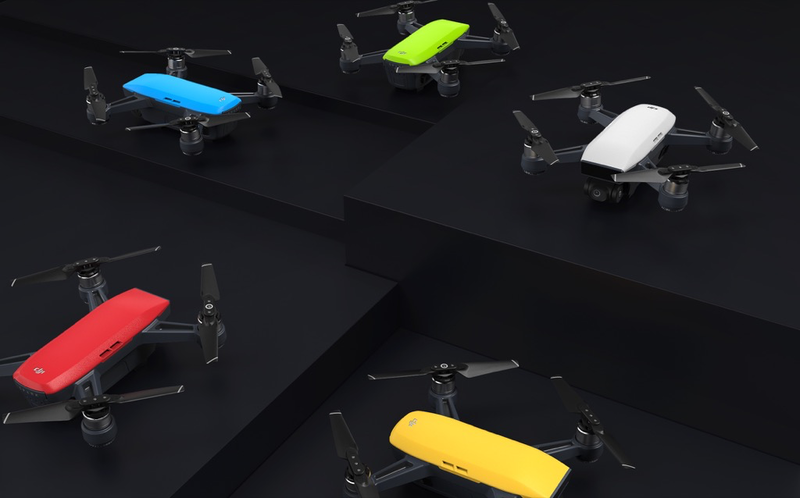 Available in Alpine White, Sky Blue, Meadow Green, Lava Red and Sunrise Yellow, the DJI Spark retails for $499, and that includes the aircraft, a battery, a USB charger and three pairs of propellers. For $699, the Spark Fly More Combo includes the aircraft, two batteries, four pairs of propellers, a remote controller, propeller guards, a charging hub, a shoulder bag and all cables. The DJI Care Refresh for Spark, a one-year protection plan, is offered at $59. Preorders can be made at store.dji.com, and Spark is scheduled to ship in mid-June. May 24, 2017 — DJI, the world’s leader in civilian drones and aerial imaging technology, Wednesday launched Spark, an easy-to-use, fun-to-fly mini camera drone that lifts off from the palm of your hand to capture and share the special moments in your life on the go. When Spark takes off from your hand, it automatically enters Gesture Mode. This features new advanced gesture controls like PalmControl, which lets users control Spark with hand movements. In Gesture Mode, you can also send Spark up and away from you, take a selfie, and call it back with just your hands. 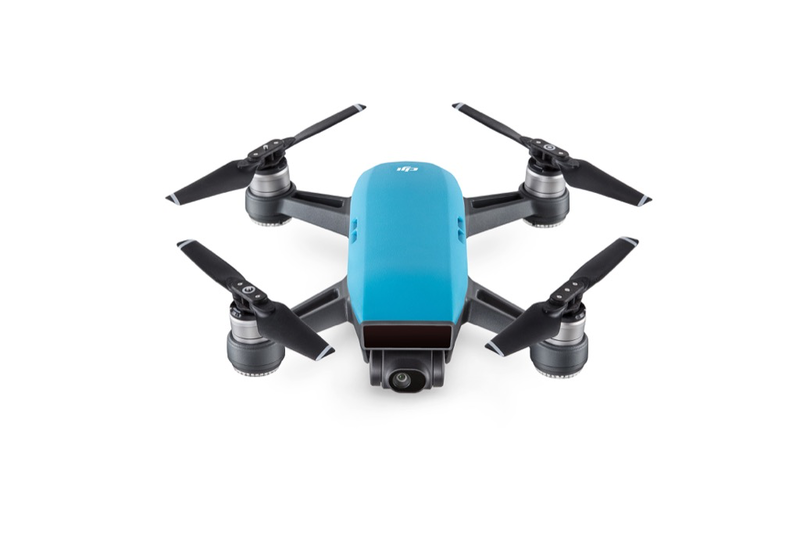 The US retail price of a DJI Spark, including an aircraft, a battery, a USB charger and three pairs of propellers, is $499 USD. The Spark Fly More Combo includes an aircraft, two batteries, four pairs of propellers, a remote controller, propeller guards, a charging hub, a shoulder bag and all necessary cables, with a US retail price of $699 USD. Pricing and availability of other accessories for Spark will be announced at a later date. Spark will be available for pre-order at store.dji.com, four DJI Flagship Stores, and authorized dealers. Spark pre-orders will start shipping in mid-June. Color options and Fly More Combo availability may vary at different sales channels. DJI Care Refresh for Spark, a new one-year coverage plan, will enable Spark customers to obtain up to two full replacements that are new or equivalent to new, for a small additional charge. DJI Care Refresh for Spark is currently available in select countries, including China, Hong Kong, the United States, Canada, 28 European Union countries, and Australia. It is recommended to use Spark’s propeller guards, available separately, when launching from or returning to your hand. The aircraft must be unobstructed and free of interference, using a remote controller when FCC compliant. Always follow applicable laws and regulations when flying.